The Noble Hill-Wheeler Memorial Center is located on a hill, just off Joe Frank Harris Parkway, in the Cassville community. It is the restored Rosenwald School that was built in 1923 as the first school for black children which was built to standard specifications in the Bartow County School System. The school was closed in 1955 when all schools for black children in Bartow County were consolidated to form the Bartow Elementary School. The New Hope Baptist Church, located just below the school, bought the property and several years later sold the building to Mr. Bethel Wheeler who used it as a storage facility and for baling paper. In 1983, Mrs. Bertha Wheeler donated a portion of the property for a heritage museum in memory of her father-in-law, W. H. Wheeler, builder of the school, and her deceased husband, Bethel, who served as his helper. In 1986 and 1987, seven families purchased the remainder of the one-acre plot and designated one section as a picnic/play area. Markers have been placed on the site indicating those individuals who are honored, memorialized, or donors. The center is a heritage museum that will basically reflect black culture in this area from the late 1800s to the present. 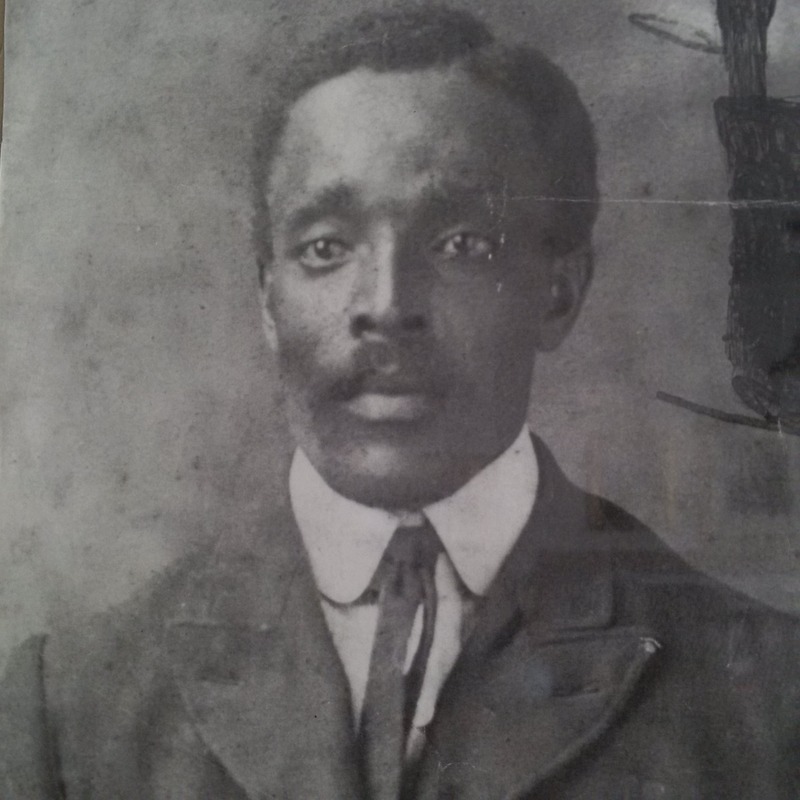 Born in 1871 – died August 31, 1943. Webster Wheeler was a farmer and builder most of his life and was a deacon and secretary of the church he attended. 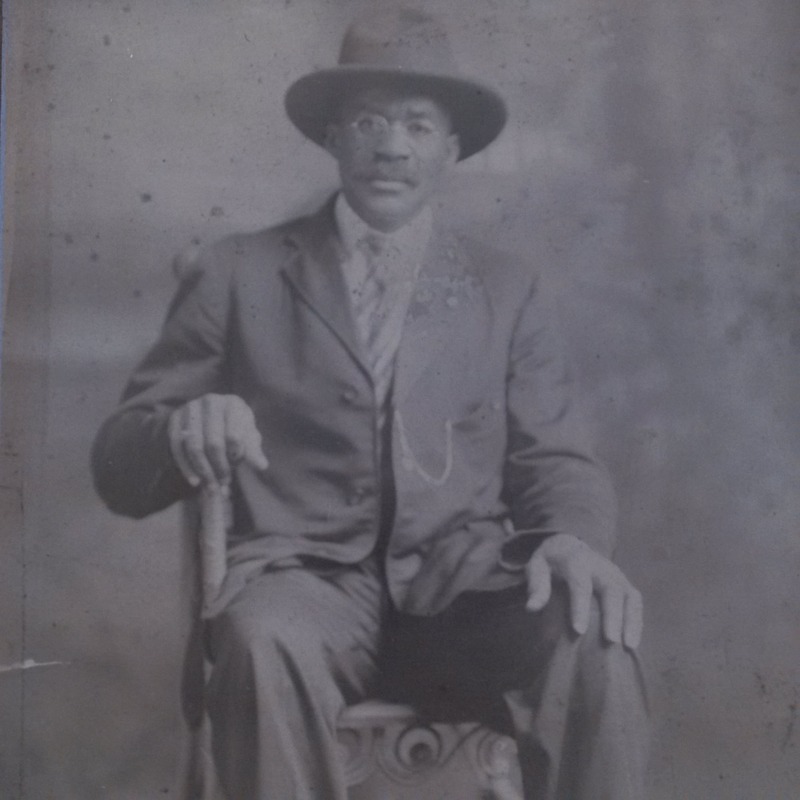 In the early 1900s, he relocated to Detroit to work at the Ford Motor Company. When the Cassville community was selected to receive a Rosenwald-funded school, he returned home to build the school. After completion of the project he served as a trustee of the school. Daniel Harris was a farmer with some carpentry skills and he volunteered to assist Webster Wheeler in building the Noble Hill School. Mr. Harris served as trustee at the Cassville School and after completion of Noble Hill he remained a trustee of the school. Cassville’s first one-room school house was built in 1885 on a one-acre lot near the New Hope Baptist Church where services, at this time, were held under a bush arbor. It remained the school for black children until 1923 when the Rosenwald School was built. The previous use of this site was a college which was destroyed during the Civil War. In 1921, the one-room school building was condemned and the old New Hope Baptist Church served as a school for the black children. Also in 1921, C. W. Williams and his wife came from Atlanta to teach. Mr. Williams had some knowledge of the Julius Rosenwald fund for black rural school buildings. He talked to the school superintendent and the local trustees of Noble Hill and was granted the privilege of pursuing the funds. In 1922-23 the grant was secured with 50% matching in-kind funds. The Noble Hill School was a wooden building partitioned with a four-foot divider to house grades 1-3 on one side and grades 4-6 on the other. Wooden benches made of rough lumber were used for seating four pupils at each worktable. The building was heated by a wood-burning pot-belly stove. The books were bought by the parents and often were shared with children whose parents failed to buy their books. There was no electricity and studying had to be done by daylight. In bad weather, when it was raining and dark clouds prevailed, the teachers would send the pupils home at noon, The main subjects were English, reading, arithmetic, and geography. The idea of a parents-teachers association was introduced by . Joanna Hamilton, a school teacher in Hampton, Georgia, while she was visiting relatives in the community in 1922. Ms. Hamilton originally was from Thomasville, Georgia. In addition to organizing the first meeting of the PTA, Mrs. Hamilton gave the students their first lesson in arts and crafts by teaching them to make hats from corn shucks. Noble Hill School (recorded on board minutes as Cassville Colored School) had twenty teachers from 1924 to 1955. A few of the teachers had long years of tenure while others worked for short periods of time. The leadership team behind the building of the Rosenwald School was Professor and Mrs. C. W. (Myra) Williams who served as the educational leaders of the new school from 1924 – 1927. Mrs. Myra Williams was a quiet and loving teacher who taught the lower primary grades and Professor C. W. Williams, who was known as a strict disciplinarian, taught the upper grades. He is often remembered for his unusual appearances when fights were in progress as students walked many miles to and from school. Mrs. Mary Ellen Williams Beavers and Mrs. Bertha West Wheeler made up the teaching team from 1926 to 1931. They were well known as young and vibrant teachers who, at the onset, were looking for husbands. They found them. Mrs. Beavers had the longest tenure, though not consecutive, of 24 years. Reverend Russia completed an unexpired term in 1930 . He was a minister about whom little information is known. 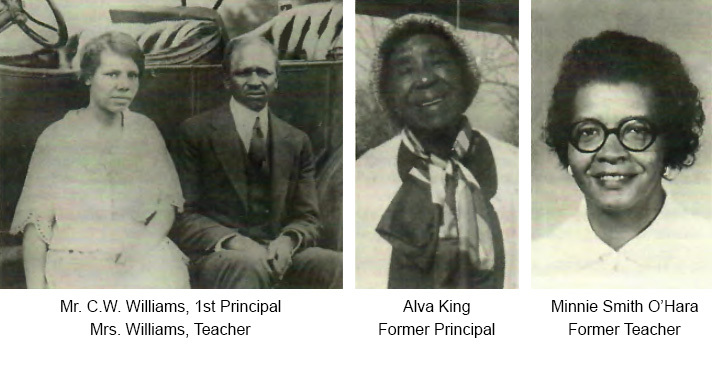 Several other teachers taught for short terms during the 1930’s: Mrs. Sarah Weems White; Mrs. Katharine Beasley; Mrs. Selena Conyers Hylick ; Mrs. Bernice Conyers Parks; Ms. Ominea Robinson. Mrs . Ora Wade Willmott and Ms. Bertha A. Smith taught at Noble Hill during the early 1940’s. Professor Matthew Sloan was principal of the school just prior to World War II and gave up his position to go into the service. He was particularly remembered for bringing basketball to the school. Mrs. Alva L. King has the second-longest tenure at Noble Hill School, serving ten years . She was also the principal when Mission and Sugar Valley schools were consolidated with Noble Hill. Teachers serving with her were Mrs. Immogene Dorsey, Mrs. Bobbie Dorsey McCory, Ms. Verender Ponder, Mr. Isiah Green, Mrs. Louise Roberson Eagan, Mrs. Minnie Carter Smith. Many others served the school as substitutes and volunteers as it was difficult during this period to find persons eager and ready to help. These teachers evidently did a magnificent job of inspiring students as many of their students have completed college, vocational schools, and are successful in many varied careers.